﻿ Why Repeat Business Is Not an Accident » Red Mango Marketing! « Is It Time for You to Upgrade Your Web Hosting? Repeat business is one of the most effective ways to increase revenue. While many businesses spend the bulk of their time and budget on acquiring new customers, businesses that focus on repeat customers benefit from better retention, larger sales, and increased brand awareness. Keep in mind, repeat customers spend 67 percent more than new customers and refer your business 50 percent more than one-time buyers. How can you increase repeat business? These days, with so many options to get what you need online or around the corner, what really inspires customers to come back is an experience they can’t get anywhere else. It doesn’t matter if you’re selling exotic vacations or tax consulting services, if you can create a WOW! experience for your customer, you’ll make a lasting impression. The next time they’re thinking about the products and services you offer, or a friend mentions that they need something you sell, the memory is triggered. This is how first-time customers become repeat customers and your own personal word-of-mouth marketers. Is excellent customer service enough? If a customer is new to your business, they’ll probably need to get to know you a little better before becoming a loyal, repeat customer. To follow-up with new customers, Chris uses email marketing to stay in touch with his customers and persuade them to come in and shop again. 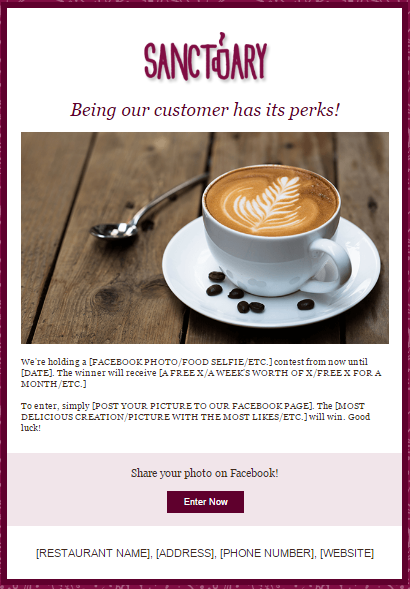 Want to try email marketing for your business? Try it for out for free with a 60-day email marketing trial. The key to driving repeat business is getting to know your customers on a personal level. You may be thinking that you couldn’t possibly get to know every single customer individually. For many small businesses, that’s true. What you can do, however, is focus on engaging your most active customers. Remember, 80 percent of your business comes from 20 percent of your customers. When you engage your most active customers, they’ll buy more and they’ll buy more often. Not to mention that they’re also more likely to refer business to you. There are several ways to learn more about your customers without coming across as intrusive. Start by recognizing the different types of customers your business attracts and create experiences that reflect their particular needs. 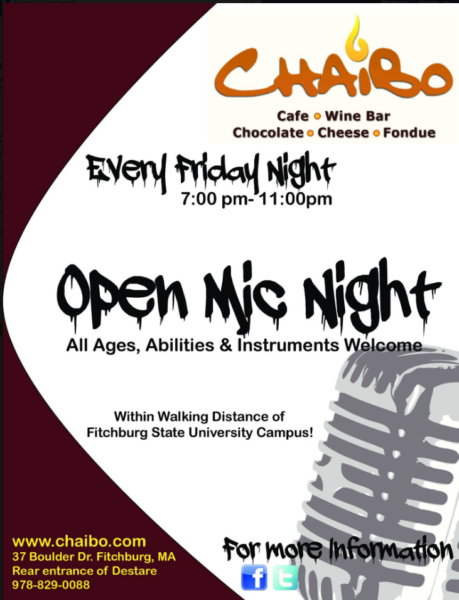 For example, Chris’s café attracts a lot of students from the local university, so he decided to reach that audience by holding weekly Open Mic Nights. Once you start sending email newsletters and posting to social media, you can learn about your customers by tracking your results and seeing what content and offers are most clicked on, shared, and forwarded. You can also add a poll to your email or simply engage in good old-fashioned face-to-face conversation. Small business owners that actively engage their customers have a huge advantage over chains and big box stores. You’re able to get to know customers on a personal level, which results in better service. Take advantage of this distinct differentiator and bring it to the next level by asking new customers to join your email list. Adding a sign-up sheet to your store counter, including a sign-up form on your website, or using your tablet to collect contact information makes it easy for customers to stay connected with you. The more you focus on your existing customers, the more likely they are to purchase from you again and encourage their friends to do the same. Want to get started today? Sign up for a free 60-day email marketing trial. 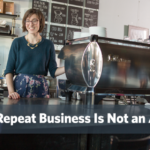 The post Why Repeat Business Is Not an Accident appeared first on Constant Contact Blogs. This entry was posted on Thursday, May 25th, 2017 at 8:00 am	and is filed under Email Marketing, News & Updates, Online Marketing, Relationship Marketing, small business marketing. You can follow any responses to this entry through the RSS 2.0 feed. Both comments and pings are currently closed.